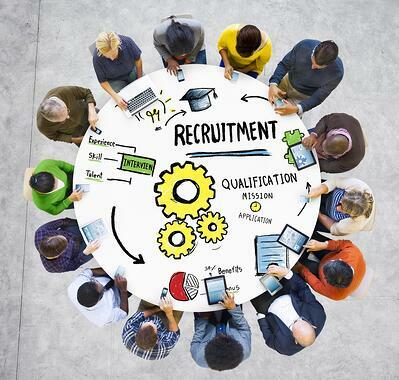 You may have heard the term inbound recruiting in HR circles in the past few years. But do you have a good understanding of what it is, why it’s trending, and how it could change the way you do your job as a recruiter? Today, I’ll dive in and give some grounding to this new term and how inbound marketing for recruiters changes the way you recruit for hard-to-fill, high-volume open positions. Inbound recruiting is a method of creating targeted, branded content for your recruiting center specifically for the purpose of increasing your employer brand recognition and engagement with future hires. Utilizing the inbound marketing strategy that your company may be utilizing for attracting, delighting and retaining customers, you now apply the same methods to recruitment. This is especially effective for high-volume hires: nursing, information technology, customer service, and other industries where quality employees are hard to find, and you’re hiring many of the same positions at once. It has some other names - recruitment content marketing and talent branding both come immediately to mind. But the basis for the inbound approach is the same. According to research, a strong talent brand can translate into 50 percent savings in cost per hire and 28 percent reduction in employee turnover. Content marketing is defined as “a strategic marketing approach focused on creating and distributing valuable, relevant, and consistent content to attract and retain a clearly defined audience—and, ultimately, to drive profitable customer action,” according to the Content Marketing Institute. Recruitment content marketing, then, is applying those same content marketing principles to recruiting the best employees to your company. Inbound marketing is a natural extension, using not only written content, but also video, social media, podcasts, and similar distribution channels. First, attract the active job seeker with valuable content about your company, or the passive job seeker with valuable ways to improve their skillset. Second, convert the job seeker through a valuable downloadable offer or online application - they give you their contact information, you give them the content. Third, interview the applicant and measure their engagement online. Fourth, hire the excellent applicant. Finally, delight current employees, leading to high employee engagement and referrals to your company. If you’re spending your time wading through qualified applicants, then congratulations - not only are a member of a slim minority, but you definitely don’t need to change what you’re doing (I’d also really like to talk to you about that!). Something you’re doing is working already. However, if you’re like 38% of US employers who are having trouble filling open positions, keep reading. Create an employee- and buyer-centric environment with positive employee engagement. Talk about your employee engagement absolutely everywhere. Be transparent. Transparency leads to more applicants. More applicants means you can choose the best ones who will contribute to your positive work environment and engagement levels. We’ve extended past inbound recruiting and coined the term attraction recruiting. Attraction recruiting utilizes the methods of inbound recruiting, plus the analysis of the data and insights received from using a smart web hosting platform, to create a more positive candidate experience and ultimately hire better-fit employees. We help organizations create content centered on their recruiting efforts, adding to the transparency of your organization and filling the talent pipeline for hard-to-fill jobs. It also enables you to measure and track which content leads to the best hires, based on feedback from the hiring manager. Being able to measure the ROI on your inbound recruiting methods? Priceless. We recently released an ebook focused on this topic, discussing why traditional recruitment methods are no longer working for organizations. The biggest reason? Today's candidates expect a better experience from companies they're employed by. Learn more about today's broken recruitment tactics and how to fix them.